Australian electricity consumers face no relief from their soaring electricity bills, with energy regulators allowing the country’s electricity networks to spend another $50 billion on poles and wires in the next five years. The decisions – some of them final and some of them draft determinations – will take the total spending on Australia’s networks from 2000 to 2020 to more than $130 billion. This cost has and will be passed on to consumers – reducing what was once Australia’s competitive advantage of cheap power – although some big businesses will be able to duck the network costs because of favourable deals with utilities. And what do Australian consumers have to show for it? Analysts and consumer advocates say nothing more than a bigger and dumber grid that appears less prepared than ever for the new technologies that are sweeping the world – rooftop solar, battery storage, electric vehicles and smart technology. Already, major moves have been made to increase fixed tariffs, hit solar households with special fees, or impose “demand tariffs” that could halve the rate of solar installations. Proposals that could have encouraged networks to cut spending and use mechanisms to encourage reduced demand have been postponed for another five years. Networks have also threatened to impose fines or fees on households that do make the decision to quit the grid. In the meantime, they are pushing to be allowed higher depreciation expenses – effectively allowing their investment to be paid off more quickly – and passing those costs on to consumers. In terms of cost the electricity networks are rolling out the equivalent of the National Broadband Network every five years. I’m staggered, amazed and indeed somewhat perplexed by what appears to be happening. There needs to be a bipartisan strategic approach to the transition to green energy, what the Germans call Energiewende. The energy grid should, I think, be a community facility that we help pay for. Much has been spoken about dropping off the grid, but in practical terms energy storage cannot yet cope with a week or more of cloudy weather, unless you have something like a diesel motor for back up. The grid should be smart enough to allow “embedded” generation at the level of individual homes or communities. Many residential and commercial electricity consumers are installing embedded generation (for example co- and tri-generation and solar photovoltaic generation) in their homes and businesses: this has a positive impact on both electricity prices and the environment. 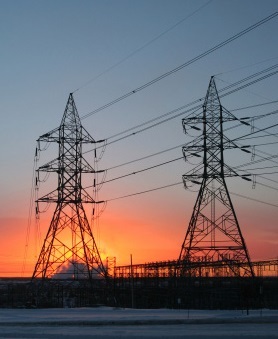 The committee heard that network design, connection and cost barriers currently impede energy produced via embedded generation being fed into the grid. The committee believes that SCER should examine these barriers and consider appropriate regulatory and operational reforms to encourage the connection of embedded generation to the electricity grid. SCER is the Standing Council on Energy and Resources. SCER has now morphed into the COAG Energy Council. Their main project is entitled Review of Governance Arrangements for Australian Energy Markets. This secretariat will pick up tasks referred to them. That, I’m afraid, is the extent of their ambition. What we’ll get is the status quo with minor variations. Unfortunately the lights are on but there is no-one home looking at the larger picture. Scary stuff. And nobody really watching. Some of the on-going expense is the maintaining of poles and wires. Wire fatigues over time, and poles also need replacing. Around our area it seems that they need a bout $1.5 million (guess) of equipment and up to 15 people to change out a pole. Add to that the planning prior to any work, the delivery of the replacement material and anything else such as road safety crews. Even running new wires is a major exercise. So maintaining the grid is a substantial cost. Question is whether it is done efficiently of not. Some oversight there might be useful. The other part of the grid expenditure is capital cost not associated with maintaining the grid. Doubtless a mystery bag with lots swinging on projected demand. I recall Keating saying that if costs go up, don’t just increase your selling price, get more efficient. Or that was his point anyway. The electricity utilities may not have picked up on that. Certainly their privileged position as government monopolies may have cocooned them from economic reality. Even where they have since been sold off, they do not face free enterprise conditions. It seems from their response to falling demand, increased costs and renewable factors has been to irritate customers and strengthen hostile response against the utilities. What now? I think many people will opt off the grid but maybe only 15% – another guess, because the capital cost is high and maybe pay back time too long. But that might be the tragedy of the commons for the grid. I’m moving to Cairns soon, from mandatory off-grid to grid access. I am researching staying off-grid. So far it is a bit expensive but not out of the question.